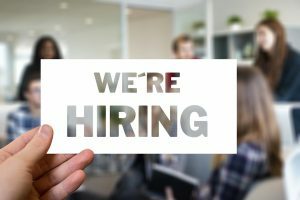 About Us » We’re Hiring! Come work with us in Southampton. EPrints Services are looking for a Software Engineer to fill a development and support role. The EPrints platform is used in over 500 organisations throughout the world. We support over a 100 customer EPrints repositories, as well as supporting the open source EPrints platform. We are looking for a keen mind with experience of Linux, Apache, databases and Web scripting languages. The EPrints platform is designed to promote, encourage and facilitate the use of Open Access and Open Data practices. As a member of the team you will help support our customers to achieve these. Projects with EPrints will typically involve some software development. These are varied and can involve changing the core software, development for a specific customer project, or developing interfaces to other platforms or services. We are a small team situated within Electronics and Computer Science (ECS), at the University of Southampton’s Highfield campus. While we are looking to recruit full time staff, if you are local to Southampton and are interested in working part time with us, perhaps while pursuing your current research, drop us a line.